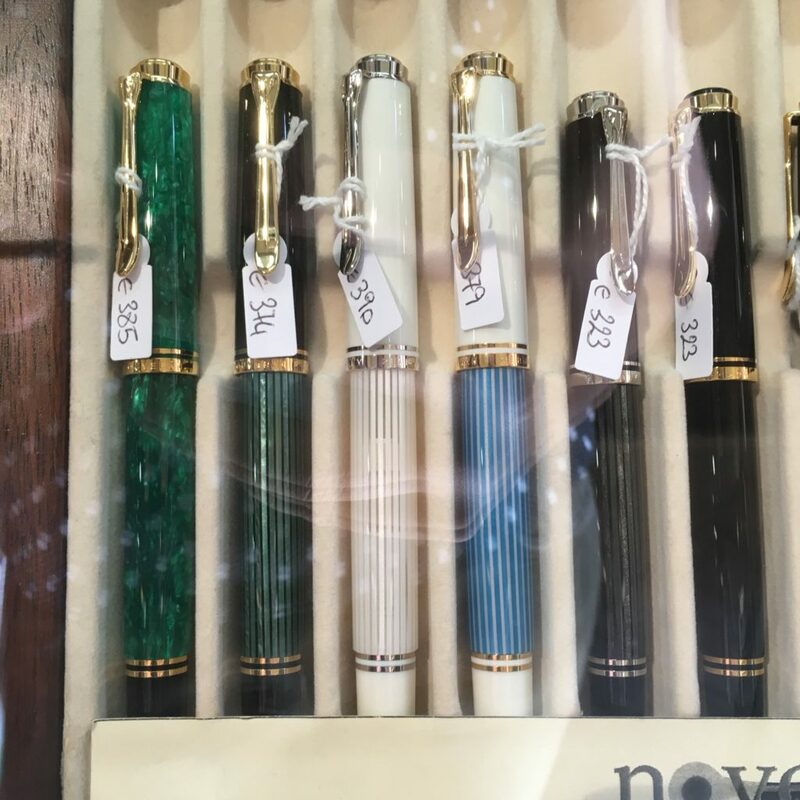 Following up on my Naples Store Recap, here are my photos and notes from my time pen shopping in Rome. First up, Stilo Fetti! 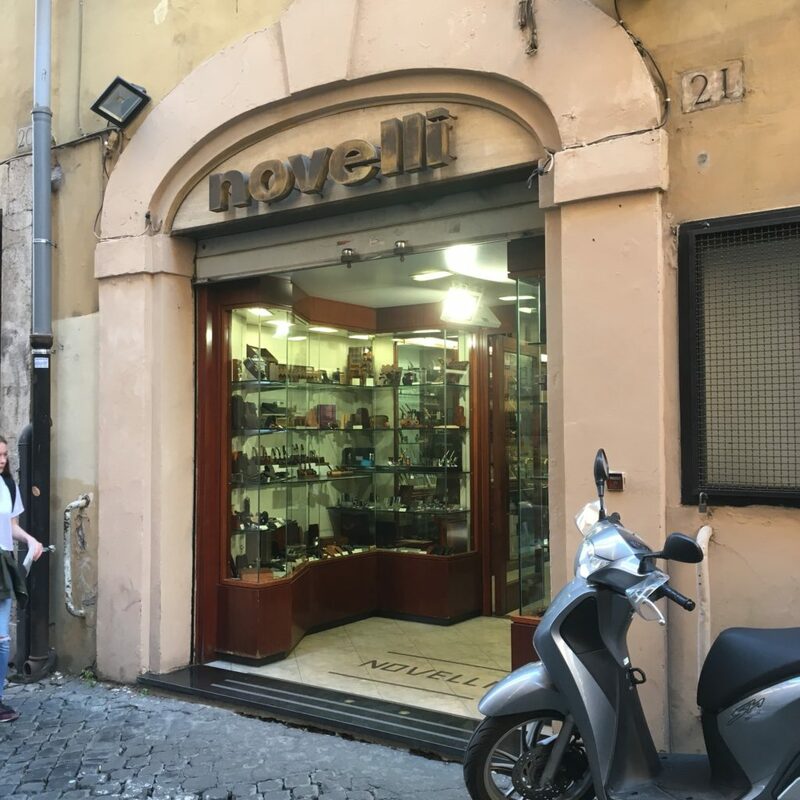 This store is super close to the Pantheon (about a block away) and very much in the center of the main tourist area. 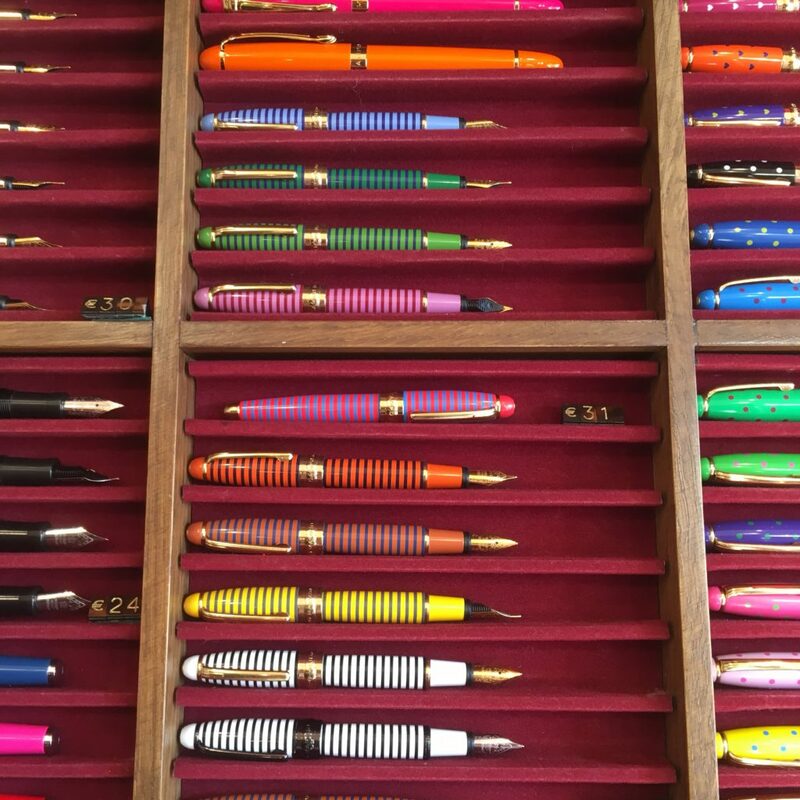 They had quite the selection of pens — including drawers upon drawers that you had to ask to see. A huge selection, but prices were on the higher end of the spectrum for new pens. And a small selection of Omas celluloids. The larger ones are all rollerballs, but the smaller ones were fountain pens. They had a handful of new celluloid Omas pens, but none of them came cheap (though I also don’t think the prices were necessarily absurd, Omas celluloid just isn’t cheap these days). Second, Novelli. 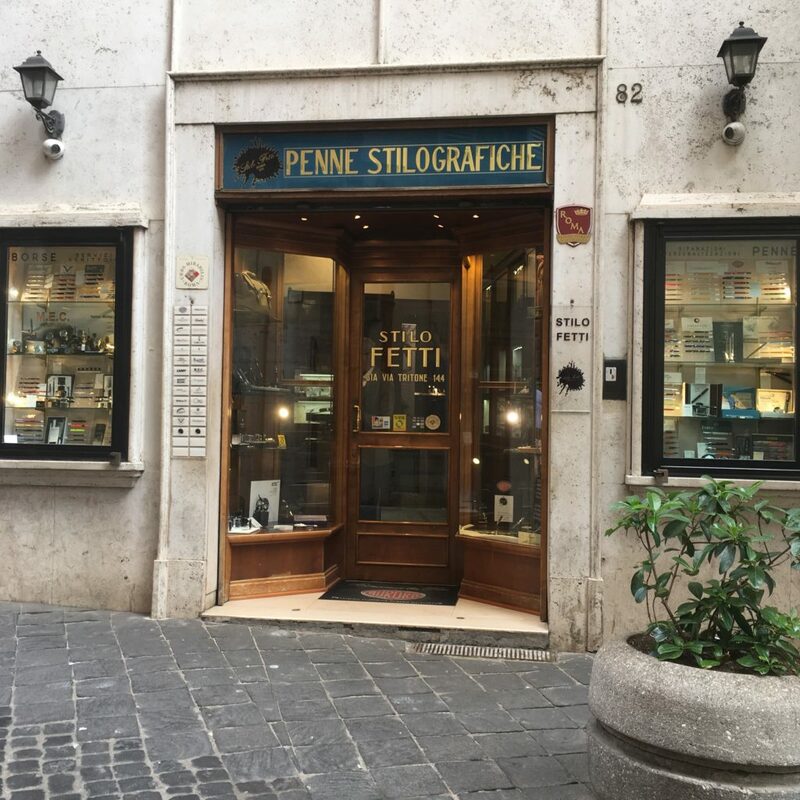 This is a pen and pipe store, featuring a smaller selection than Stilo Fetti, but still worth a visit. 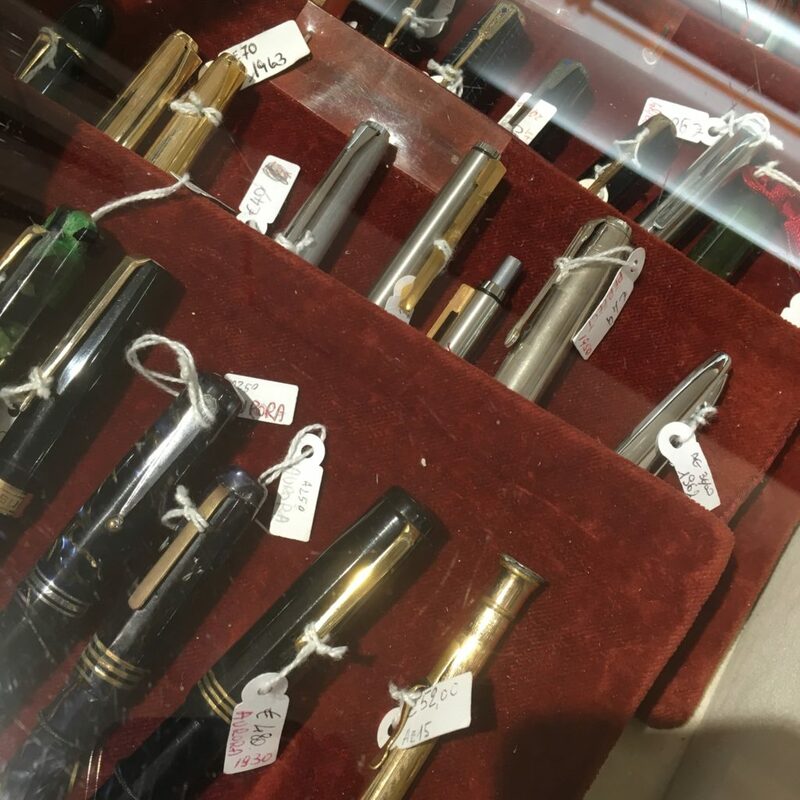 A selection of vintage pens under a glass case — Derek was more than happy to show them to me and answer any questions I had. The third Aurora on the bottom was plenty tempting. Derek also tipped me off on the fact that I could get my tax refund in the city, in cash! Nifty. You end up getting 11% of your purchase price back via the VAT refund (the provider eats the rest of it as profit). All the stores on this list will do a tax refund for purchases over €150 (or maybe 155?). 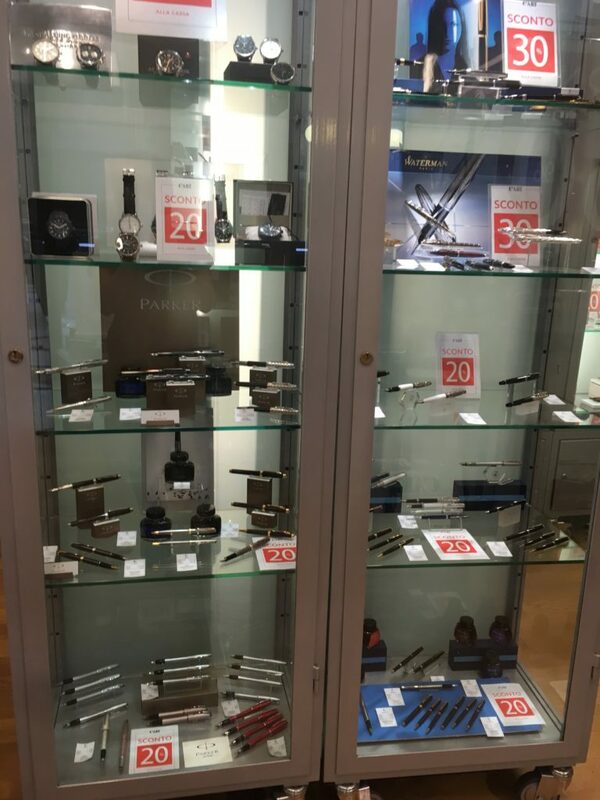 In addition to vintage they also stock quite a few modern pens at reasonable prices. On new pens, the prices seemed a smidge lower than Stilo Fetti (though I didn’t compare extensively across brands). Here’s a selection of M600s and M400s. Corsani was our third stop — though it’s further out from all the other stores on this list. But if you visit the Vatican (or St Peter’s Basilica) then Corsani is only a short walk away. 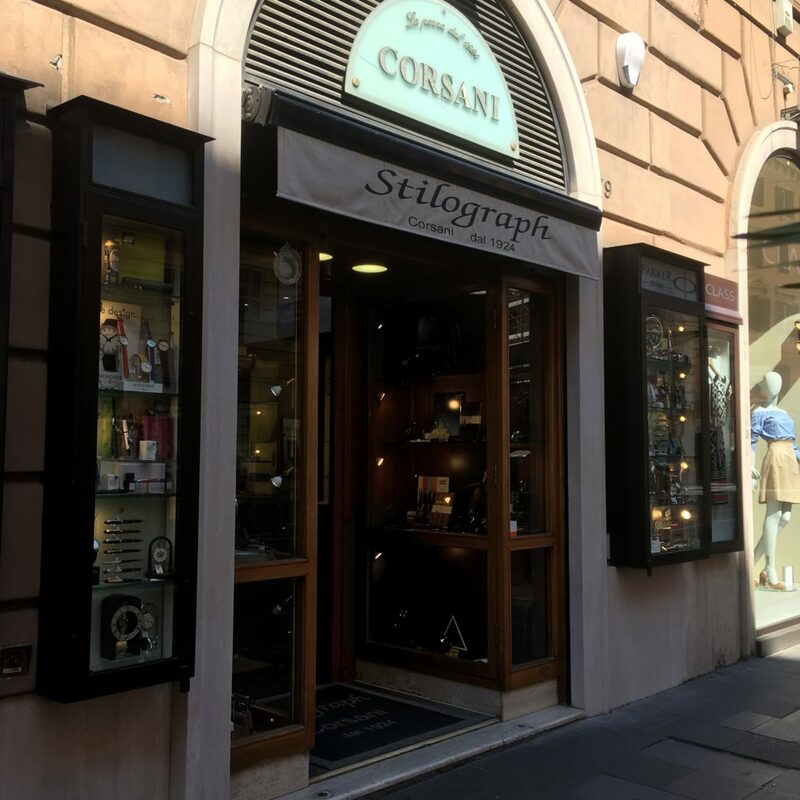 I think Corsani is one of the most famous Roman shops, or at least the one I’d read about most before visiting. 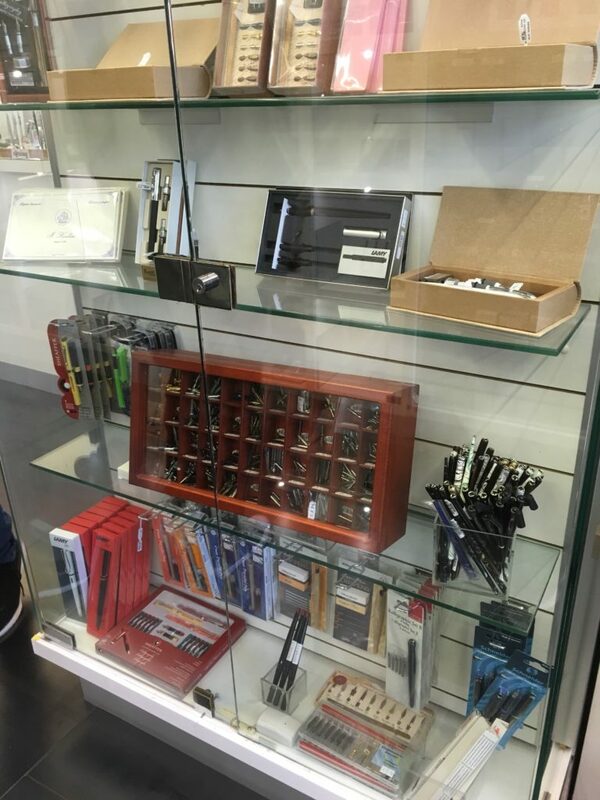 It’s also a more modern feeling shop than Stilo Fetti or Novelli and carries a wide range of pens across price points — from cheap to high end. I don’t know much about these, but I saw them in the window and they looked interesting. The staff here were very friendly and happy to test nibs and let you dip pens. My brother ended up buying a Visconti here and they were more than happy to let him pick a nib and (hopefully) avoid the inconsistent QA Visconti is known for. Fourth, C’Art, which isn’t really a pen store but does sell pens. It was on sale when we visited and the selection wasn’t particularly interesting, but it is there if you’re looking for a pen, any pen. 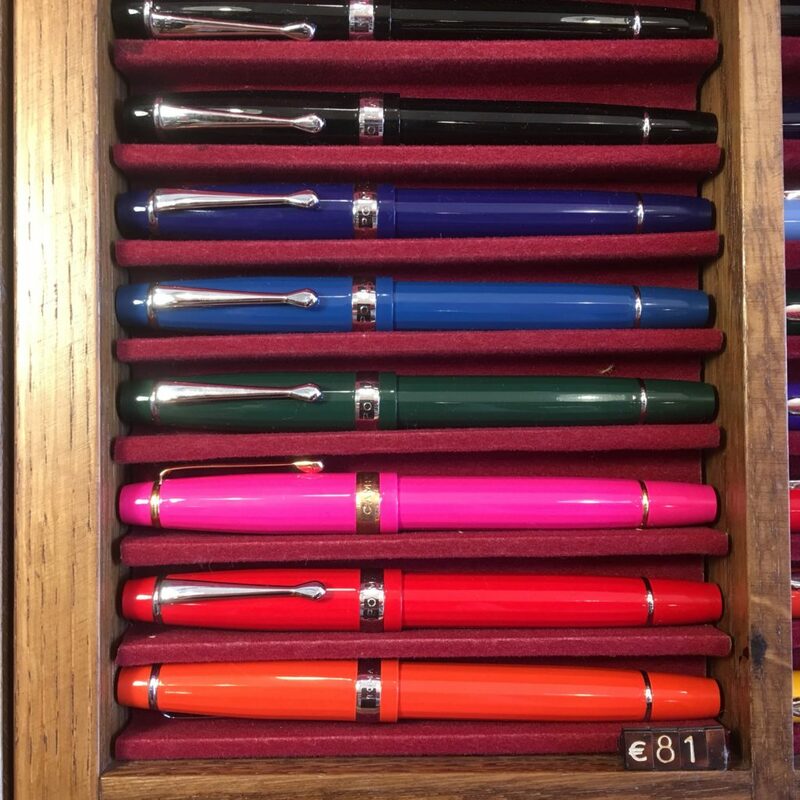 Waterman, Parker, at ST Dupont all had quite a few pens on display. Fifth was Vertecchi. They sell an assortment of school-supply-ish stuff, cute pouches, backpacks, calligraphy supplies, notebooks and have a dedicated room for fountain pens! Some of their calligraphy supplies. I was on the lookout for a glass dip pen, but I’ve realized I don’t like the brightly colored swirly ones. 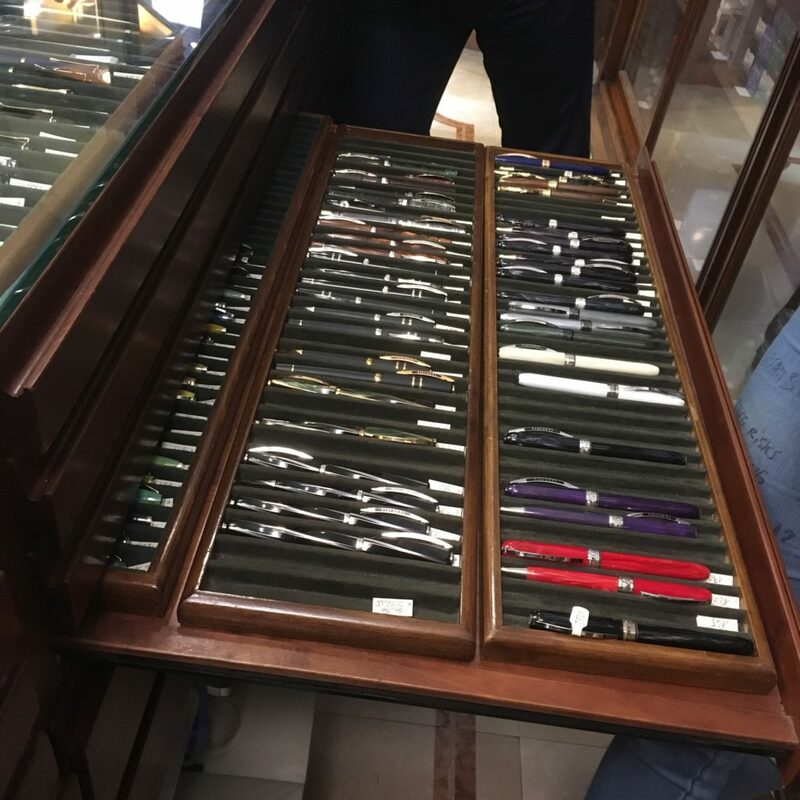 They also had glass cases for pens, all the usual suspects, but also Pilot! (though Pilot was pretty expensive). Price wise, higher than Corsani or Novelli, probably on part with Stilo Fetti for the items they both sell. The selection is pretty boring, entirely modern fairly easy to find stuff, but I did almost buy a bunch of cute boxes/pouches/pencil case things. 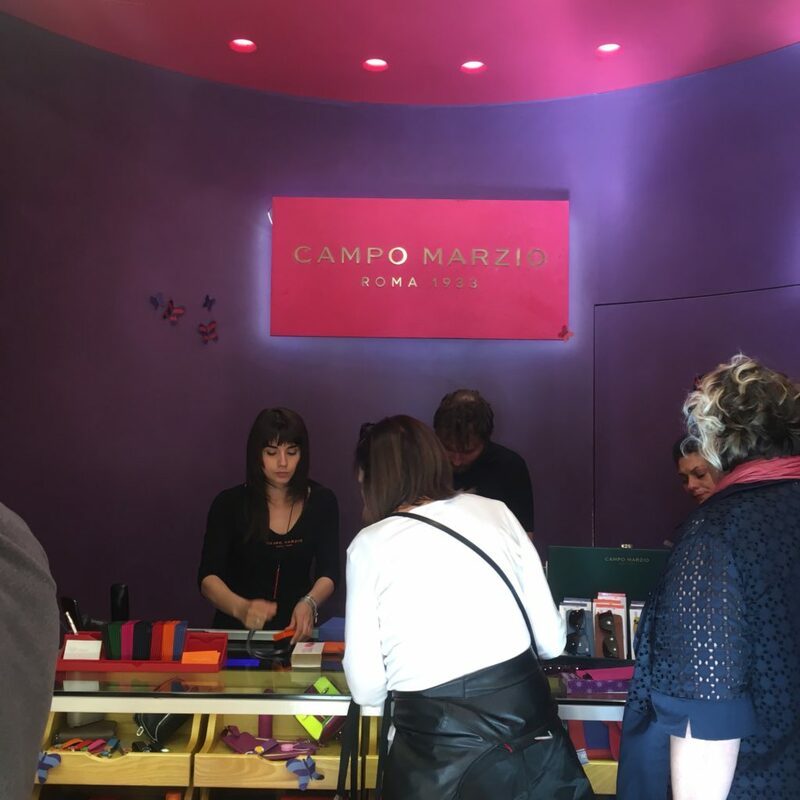 Lastly, Campo Marzio, which is the name of both a street (where one of it’s branches is) and a store is a “fashion accessories” (read: synthetic leather) brand. But, they also carry a bunch of cheap colorful pens. The bulk of their pens are rebranded Chinese pens, but the small striped pens and the faceted pens below were both new to me (though definitely both Chinese made). The pens above are €24 for a fountain pen, €17 for the rollerball. Ignore the price tag. The faceted pens below, I forgot to double check if the price tag was right. True to the theme of this blog, here’s Katherine’s hand with the small pen unposted. They’re very small! And the last note, the Vatican museum gift shops carry this Delta pen (and a black RB counterpart). 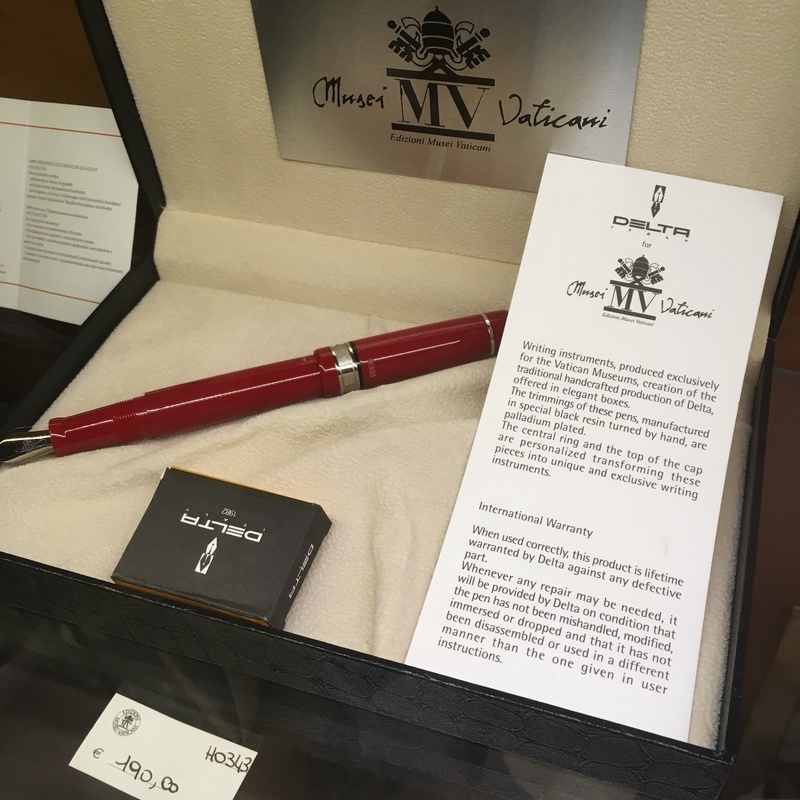 The Vatican definitely isn’t a pen store, but I thought I’d note this for those looking for a souvenir pen. 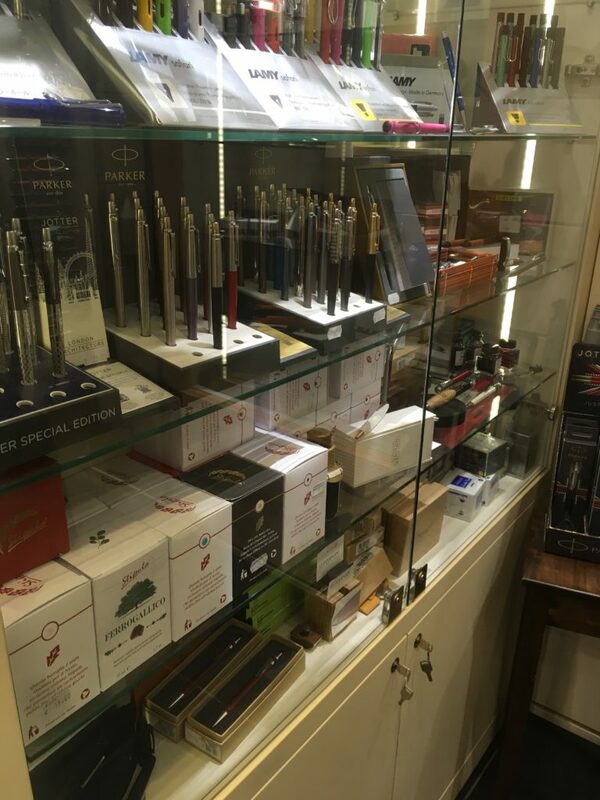 All in all, Rome has quite a few pen stores all within walking distance. Prices here aren’t a steal compared to buying online or in the US (not sure about other locations) even for Italian brands. However, some stores (Corsani!) 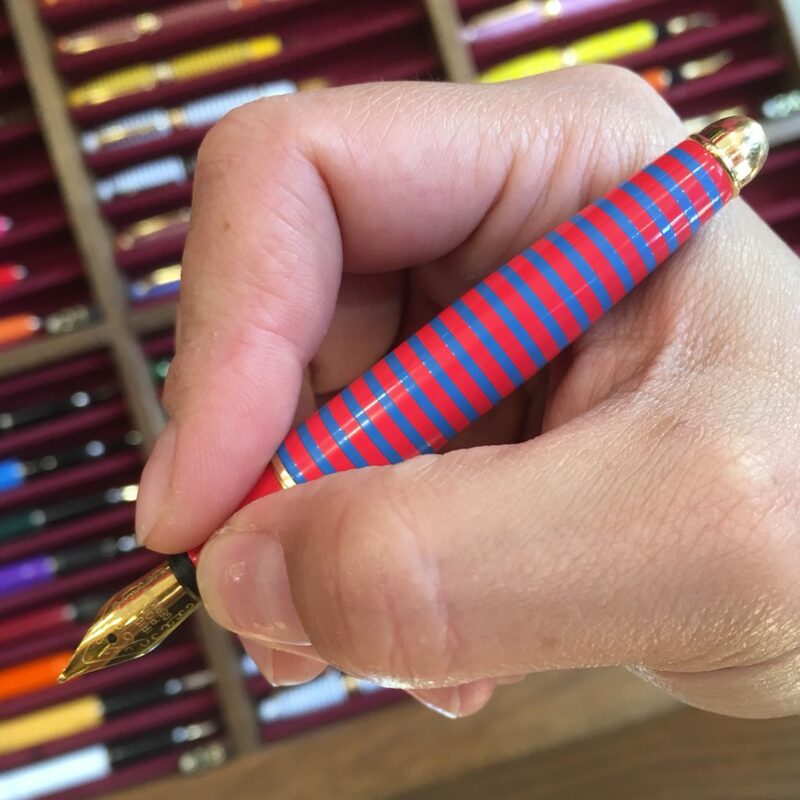 have brands I don’t typically see, and many of the stores (Fetti, Corsani, Novelli) have quite a selection of pens that you may not find in store — Omas, lots of Delta, vintage, etc. And, because the pens stores are all clumped together, you can eat gelato or other delicious things while walking from one to the next (I had a delicious burrata and anchovy “stuffed pizza” after Corsani, on my way back to Stilo Fetti). All in all, my Rome (and Italy overall) pen haul was one fountain pen, one rollerball and two bottles of Omas ink. I didn’t call out the store where I bought them because I bought the last two. The only other store where I saw Omas bottles was Novelli, but I think they were part of the display. Corsani had lots of Omas cartridges. 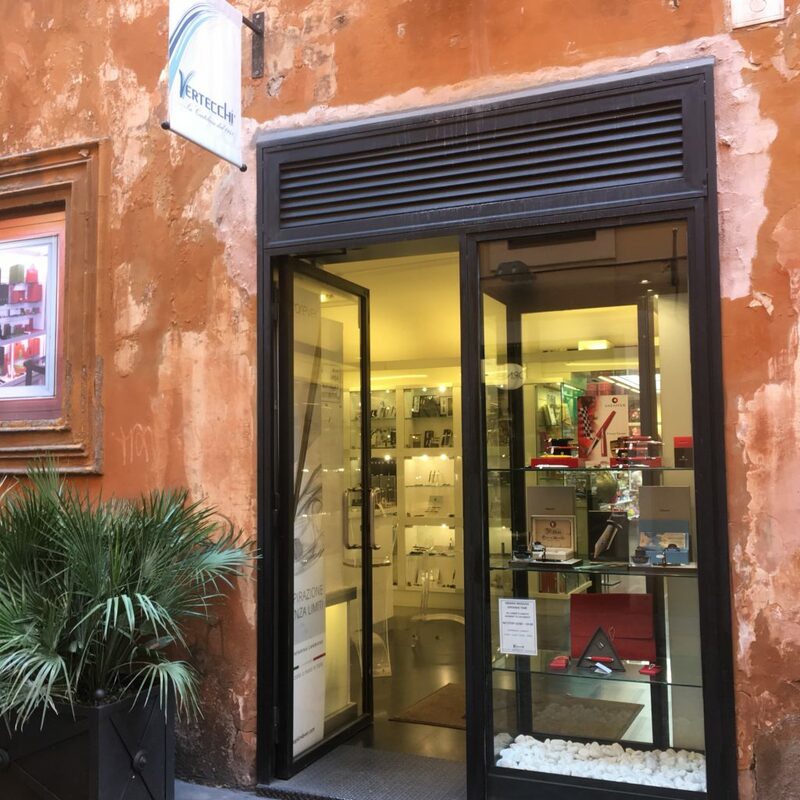 Next time you are in Rome, I would strongly recommend Stilo e Stile, 101a, Via Gallia, 00183 Roma. 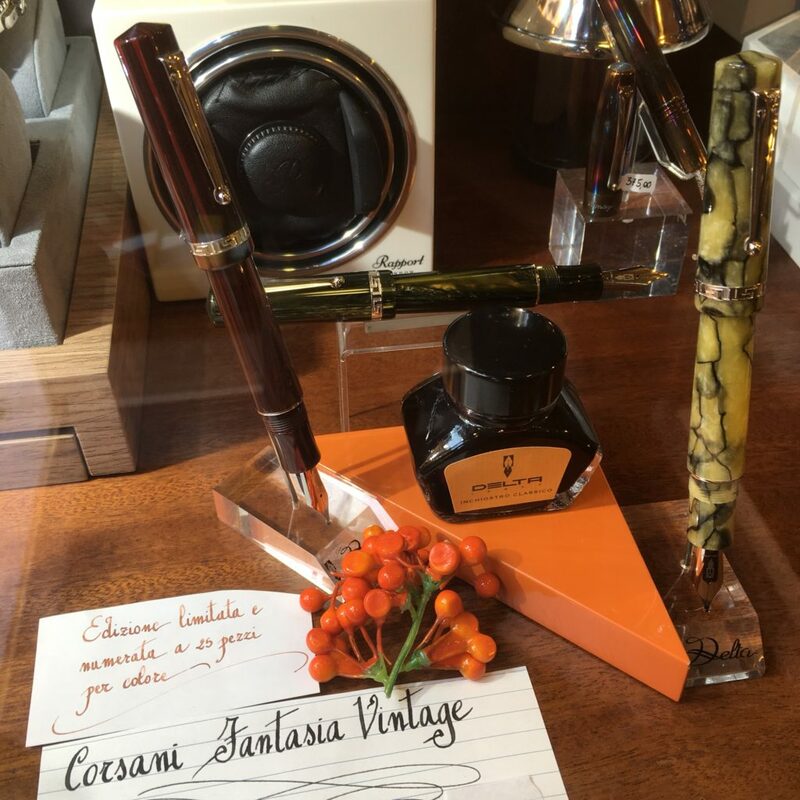 They are close to St John Lateran and are a small, mother and son shop, with a wonderful selection of pens and inks. They also stock interesting Japanese inks that are hard to find in the West.